Actions speak louder than words, and in the world of the Alpha Male being heard is everything. Both vocally or physically, you need to convey what you want, and that you’re going to get it. You’re not demanding anything, you’re simply stating a fact: this is your world and you’re in control. And we’re here to help you get it. This article is your ultimate guide to cement that fact, providing you with the 5 best body language tips in the business, and how you can use them to your advantage. But’s it not just about how your body language can influence other people, it can also influence yourself – in particular, your testosterone levels. Before we move on to the body language section, we need to define the link between testosterone levels and body language. Research from Harvard University has shown a clear correlation between your body language and hormone levels . The study was split in two body positions ‘high power’ (open and relaxed) versus ‘low power’ (closed and guarded) poses. The results indicated that high power poses had a 20% increase in testosterone and a 25% decrease in cortisol levels . This galvanizes the link between body language, boosting your testosterone levels and reducing your cortisol levels. Cortisol is the stress hormone that can have serious implications on your health if you can’t control it – and it’s at its peak whenever your mentally or physically at your limit. High levels of coritsol lower your testosterone levels, which can lead to muscle wastage and weight gain by its effect on your hormones. Other side effects associated with high cortisol include insomnia, a poor immune system, anxiety and low libido. The opposite of what you want. Eye contact is more than looking a person straight in the eyes. Being a confident alpha male means that you should not be afraid of looking at people and/or things that you are really interested in. You may already know how important eye contact is! Switch from smiling to serious – Keep your audience on their toes. Faking a smile – You’ll appear disingenuous and all around fake! This is one of the better Alpha Male Body Language Tips out there. Does your posture express masculine power? Could you provide the dominant force required to run a pack? Do you appear confident with a zest for life? If you have answered ‘no’ to any of these questions, or you’re not sure what that looks like, you need to work on your overall posture and attitude. Whether you are walking down the street or into the gym, you need to create that first impression. When an alpha male enters into a room, he’s confident; walking slowly and taking smooth balanced steps. Walk with a purpose – like you are the top dog and the most important person in the world. An alpha male takes as much sitting room as he thinks that he needs. As a rule of thumb, bigger and wider is always better. You should always sit up straight, legs open in a comfortable position, lean back, show your torso as this demonstrates that you are not afraid of conflict and ready for action at any time. Never sit with your legs too close together, don’t close off your posture with hands as this can be deemed as defensive and always envisage how a king sits on a throne! 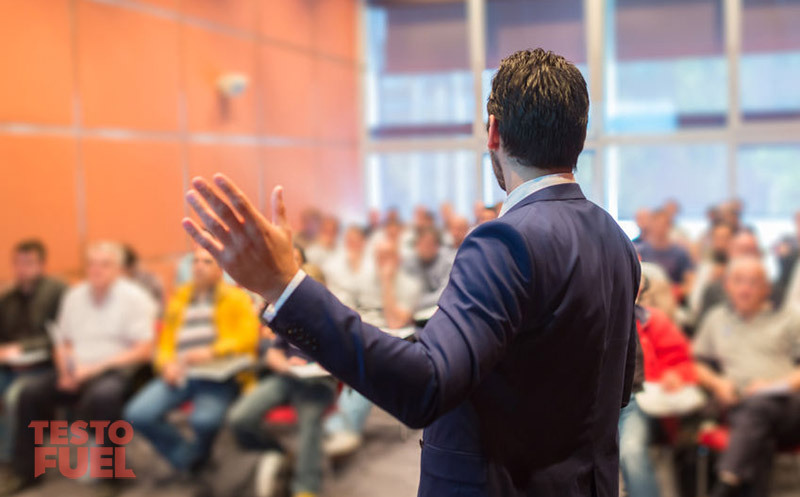 Overall these are the key five factors of strong Body Language. How you stare, appear, stand, sit or even move are all incredibly important to making that impact of intimidation, attraction, dominance or whatever emotion you require to get the best out of a situation. But there’s far more than just these five tips. Want to be even more Alpha? 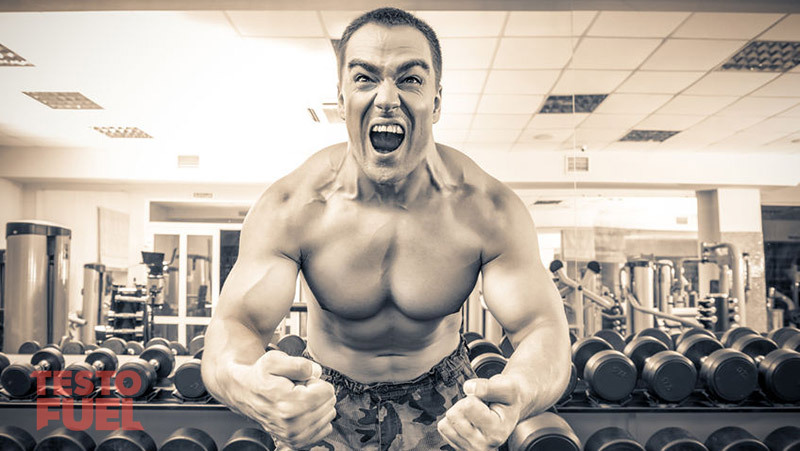 If you’re finding it hard to get in the mindset, it could very well be your testosterone levels – and if that’s the case, we have the answer: TestoFuel. TestoFuel is the number one natural testosterone booster out on the market. With four servings a day, and generous doses of everything you need to get the best out of your T-levels, TestoFuel gives your body a constant supply of the good stuff and your ticket to the top. Carney, Dana R., Amy J. C. Cuddy, and Andy J. Yap. 2010. “Power Posing: Brief Nonverbal Displays Affect Neuroendocrine Levels and Risk Tolerance.” Psychological Science 21 (10): 1363–68. doi:10.1177/0956797610383437. Hoogeveen A. R., Zonderland M. L. Relationships between testosterone, cortisol and performance in professional cyclists. International Journal of Sports Medicine. 1996;17(6):423–428.